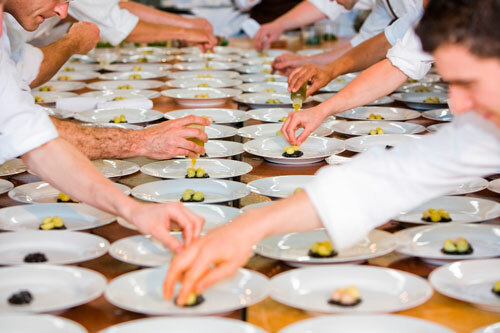 On Sunday, May 16th, Meals on Wheels of San Francisco will be throwing its 23rd Annual Star Chefs and Vintners Gala at Fort Mason's Festival Pavilion. The gala is a benefit for San Francisco's homebound seniors, and is the organization's largest fundraiser of the year. Nancy Oakes of Boulevard will be returning for her 7th year as Gala Chef Chair -- it will be her 22nd year participating in the benefit. She will be leading an illustrious line-up of more than 70 of the Bay Area's finest chefs. Who says too many cooks in the kitchen is a bad thing? Among the chefs participating in this year's gala are: Mourad Lahlou (Aziza), Jeff Banker/Lori Baker (Baker & Banker), Daniel Patterson (Coi), Douglas Keane/Nick Peyton (Cyrus), Jan Birnbaum (Epic Roasthouse), Thomas McNaughton (Flour + Water), Chris Cosentino (Incanto), Staffan Terje (Perbacco), Laurence Jossel (Nopa / Nopalito), Richard Reddington (REDD), Charles Phan (The Slanted Door), and Mark Sullivan (Spruce). 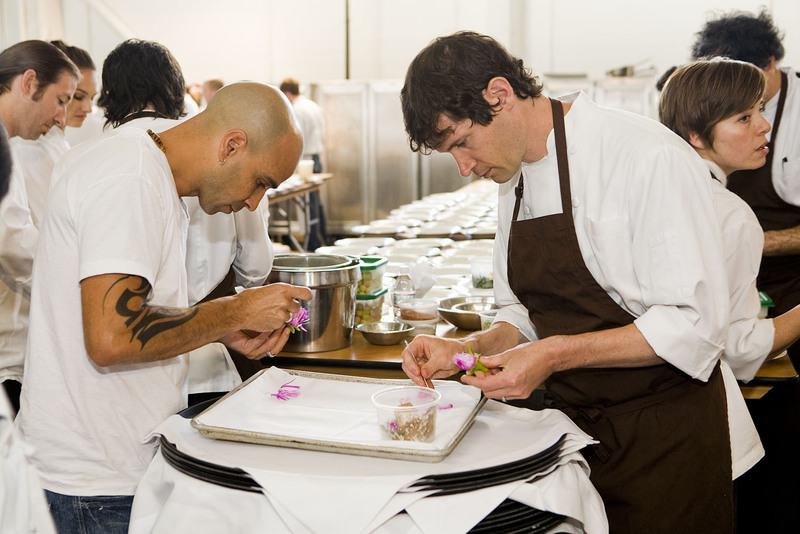 Talk about a culinary dream team, huh? With so many all-stars on board, the meal will no doubt be stellar. I asked Oakes what it's like organizing such a massive undertaking with so much talent involved. She responded, "First and foremost, we are so fortunate to be in the Bay Area. So many [of our talented chefs] say yes." Logistically, the evening will begin with an hors d'oeuvre "grazer" and wine reception, featuring creations from more than 30 chef and wineries. Following will be a three-course, sit-down meal. Oakes explained, the chefs have been grouped together to form 8 groups total. Each group will prepare its own menu for its assigned seating area. "The goal is to let the chefs be who they are," she said. "With each group cooking for about 100 people, it's important that they are able to put something out that they are proud of…and of course, to have fun." Chefs with similar cooking styles will be grouped together, and at least one veteran gala chef will be placed on each team. Also, with more than 75 of California's leading vintners participating in the gala, there will be plenty of wine to pair with all that fantastic food. And in case you're still feeling thirsty, a special cocktail bar manned by beloved bartenders, Scott Beattie (Hangar One), Jon Gasparini (Rye), Scott Baird & Aaron Smith (15 Romolo) and Daniel Hyatt (The Alembic Bar) will serve up classic spirits and exotic concoctions. The evening will culminate with a lavish dessert reception, featuring sweet treats from Sara Spearin (Dynamo Donuts), Jake Godby (Humphry Slocombe) and Bill Corbett (Coi & Il Cane Rosso), just to name a few. Let's not forget about the benefit aspect of this whole shindig. 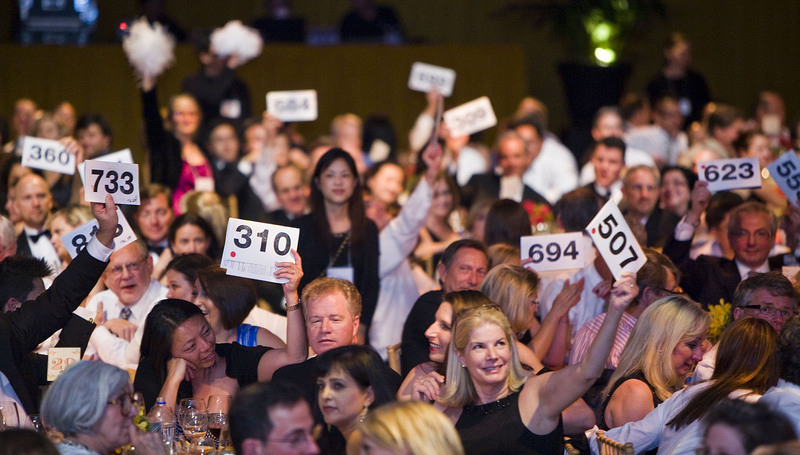 Both a live and silent auction will be held, during which guests will have the opportunity to bid on a number of lavish prizes (food, wine, and luxury-themed). Guests will also have the chance to pledge donations to the "Fund-A-Route" campaign, which goes towards funding an entire meal delivery route for the next year. Last year's gala raised a grand total of $1.1 million. "Providing nourishing meals and supportive services for San Francisco's seniors is of utmost importance during these trying economic times," said Ashley McCumber, Executive Director of Meals On Wheels of San Francisco. "With the generosity of these world-class chefs and wineries, we are able to provide 440,000 meals to seniors in San Francisco." Tickets are pricey, but if you have deep pockets or know someone who does, encourage them to wine and dine for a good cause. Individual tickets are priced at $400, with patron levels ranging from $1,500 to $20,000. To reserve tickets or for more information, call 415-343-1280 or visit www.mowsf.org. 1. Bring a pot of water to boil, season with salt, blanch the shelled favas for about 1 minute then transfer to an ice bath seasoned with one teaspoon of salt so as not to overcook. 2. Remove the skins of the larger favas and discard, the smaller ones don’t need to be removed as they are not tough or bitter. Place the favas in a mixing bowl, then set aside. 3. 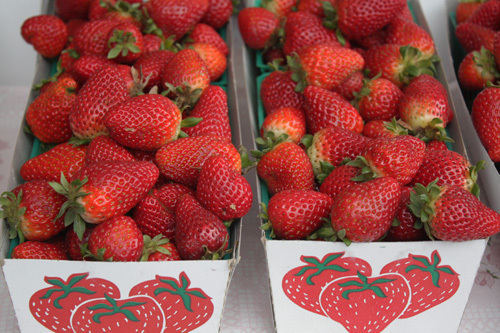 Add the strawberries to the fava beans. Season with salt and fresh ground black pepper. Add the rucola or arugula. 4. Dress with a splash of lemon juice, balsamic vinegar, and olive oil, toss to incorporate all the ingredients. Put on a platter or on individual plates. 5. Using a vegetable peeler, peel curls of pecorino on top and serve.